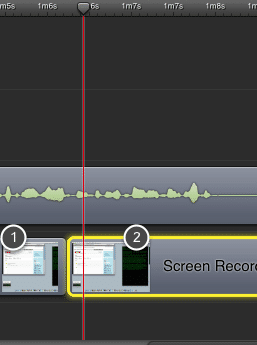 Sometimes when editing in Screenflow I want to apply the zoom and pan setting of one clip to another. I just discovered an easy way of doing this. Here is the situation. I have a clip that I have zoomed and panned (1). When the playline moves to the next clip (2) I want it to have the same zoom and pan settings. 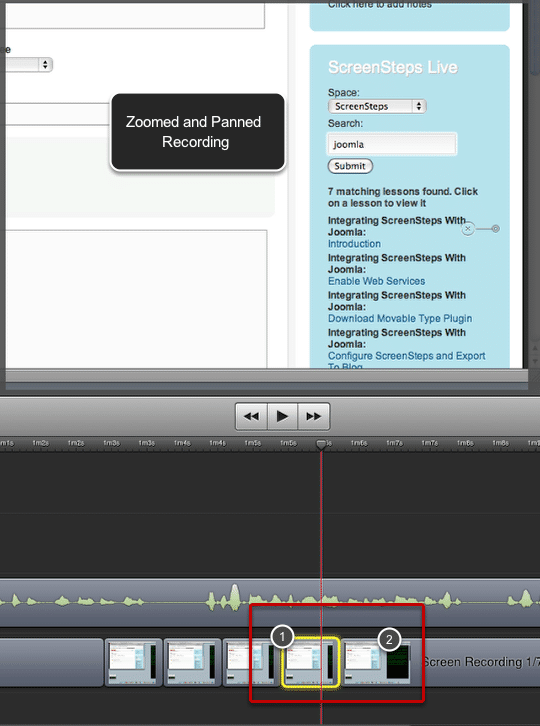 With the zoomed and panned clip selected, select Edit > Copy as if you were going to copy the entire clip. I now select the clip I want to apply the settings to (2). The clip I copied is just before it in the timeline (1), but doesn't have to be. 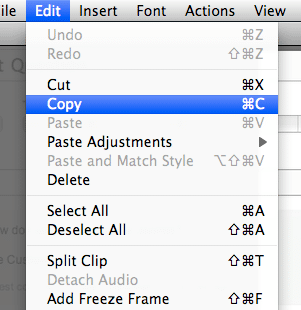 Select Edit > Paste Adjustments and whatever attribute you want to apply from the clip you copied. In my case I am selecting Video. That will apply the zoom and pan settings to the new clip. 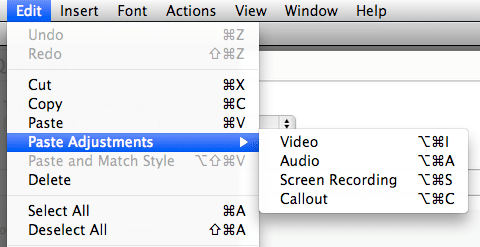 As you can see you could do the same for Audio, Screen Recording and Callout settings. Update: Here is another post that clarifies how to do this if you have a clip with a video action on it.